Water utilities in California have to more carefully monitor and report their water loss data to comply with a law that officially went into effect toward the end of 2017. One water utility data management company looks closer at the new law’s effects. A contractor for a California water utility installs a flow meter at a well site. Toward the end of 2017, a new law in California went into effect. Prompted in part by the years-long drought the state finally came out of last year, the law — passed as Senate Bill 555 in 2015 — requires water utilities to more carefully monitor and annually report their water loss data. It affects utilities treating more than 3,000 acre-feet of water annually, or with more than 3,000 connections, which covers 410 of California’s water utilities. During California’s most-recent drought, the state enacted emergency conservation mandates for water providers with specific targets to hit, but Symmonds says he thinks there has long been a lack of good, comprehensive water loss data among utilities to support such specific numbers. Thus, Senate Bill 555. Symmonds spoke further with Municipal Sewer & Water magazine to provide some insight on what this law means for California water utilities and what utilities across the country can expect if they one day find themselves having to comply with similar laws. MSW: How does this affect utilities’ operations? Symmonds: One, is they’ve had to get familiar with the AWWA water loss model and then be able to pick out the data sets they need to use it effectively. That’s a bit of an effort. The bill also requires that the numbers be validated by someone who is knowledgeable, an expert. For large utilities that can be done in-house, but for smaller utilities, they may have had to go outside and get some contractor help to do it. So there’s an increased cost to utilities. They have to find the money in their existing revenue streams and budgets to manage this program. All in all, it’s a good thing for utilities. Obviously getting a handle on non-revenue water is critical. MSW: What are strategies you recommend utilities employ to properly comply with the bill? Symmonds: I think that utilities generally have a good sense about what their non-revenue water is. Where the specificity comes into it with this bill is they now have to really segment that water loss. It’s no longer just a simple calculation of how much you pump into the distribution system versus how much you sell. Now you have to be able to identify and classify and segment that water loss. I think it’s important to look at your apparent losses versus real losses first. Look at where you’re underbilling or your meters aren’t registering. If you can focus first on getting all that data correct — knowing where all your meters are, knowing that they’re all registering correctly, knowing that you’re billing for every drop that you can — then one: It improves your revenue, so now you have something that’s going to offset some of the costs of this program. And two: When you start working on your real losses, which are leaks in the distribution system, you are starting with a real understanding of what the volume of those are. You get more bang for your buck by starting with the data side first and taking care of all your apparent losses, then moving into real loss mitigation. MSW: What’s your company’s role in all of this? Symmonds: Where utilities commonly lack comprehensive data is around the demand side. How much water is actually being used? Are those meters accurate? With Fathom’s meter data management platform and our meter infrastructure platform and billing platform, we can improve the accuracy of all that demand information, which is where you’re going to find your apparent losses. That’s what will allow Senate Bill 555 to achieve what it’s intended to do. I’m not sure anyone has come to us saying they want to use our tools as a function of Senate Bill 555, but we’ve certainly seen people want to use us because of the overall financial condition and regulatory structure that has been put into place over the last several years. The driver is really revenue assurance, which ultimately rolls into what the new law requirements are. The estimate of the emergency conservation standard that had been in place during the drought is anywhere between $500 million and $600 million of lost revenue for state water agencies. Even though the conservation mandate has been relaxed, some of it is now structurally built in, so every water utility is a little strapped financially. At Fathom, we’ll find you the revenue you need so that you can afford to do the stuff Senate Bill 555 requires as well as improve the financial conditions of the utility as a whole. A snapshot of the type of report Fathom's software can provide utilities. MSW: What do you think this new law means in the long term? Symmonds: Obviously data is king and understanding the quality of your data is very important to complying. Complying is simply filling out the AWWA spreadsheet, and I think in the near term you might have people still running around trying to get as much information as possible that they can put into the spreadsheet. Some assumptions could be made that prove to be inaccurate. But I think the new law is requiring utilities to become much more data aware. Over time I think what happens is these requirements will drive the need for tools such as advanced metering infrastructure, meter data management, integrations with SCADA systems, integrations with water resource supply systems. It’s going to take awhile to get everything set up, but at the end of the day, what we’ll get out of it in California is a really good, standardized understanding about where non-revenue water is actually going. We’re going to have a drive to reduce non-revenue water — like specific amounts — and that’s going to drive more advanced metering infrastructure in the state and getting near real-time information on water use. It will be about identifying non-revenue losses before they become big and fixing problems before they become significant enough to even show up on the Senate Bill 555 reporting structure. You have to prepare yourself for what is coming, which for the state will be now that we know what the non-revenue losses are, we’re going to start mandating reductions in those amounts. With water providers continually reporting this information, there’s going to be a lot of impetus to drive the numbers down. And in order to do that, you really have to have a good understanding about the demand side — how much water you are physically sending to every single customer and managing where every drop is in the cycle. 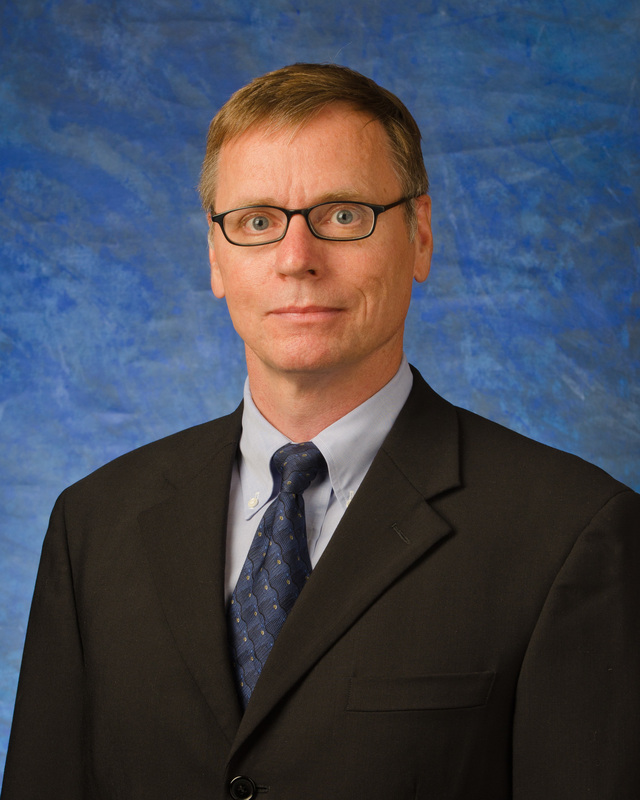 Graham Symmonds joined Global Water, the parent company of Fathom, in 2003 as the senior vice president for regulatory and compliance. Prior to joining Global Water, Symmonds had joined Algonquin Water Resources of America in 2001, where he was utility manager for Arizona and Texas, responsible for all business, technical and regulatory operations. Prior to that, in 1995, Symmonds joined Hill, Murray & Associates as director of operations and developed the firm’s formal design control practices for membrane bioreactor water reclamation facilities.